Bp. Ackerman serves as our Ambassador for Anglican and Ecumenical Affairs. 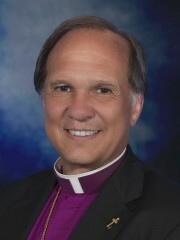 He is the eighth Bishop of Quincy, retired. Formerly in the TEC, he’s been in the ACNA since its foundation. He serves on the ACNA College of Bishops and is on the Prayer Book Liturgy Committee. He serves as a Trustee on the Board of Nashotah House Seminary and he is the Chaplain for many devotional organizations including the Franciscan Order of Divine Compassion. He is the Vicar of St. Timothy’s Anglican Church in Fort Worth, living in Keller, TX.